At Short Load Concrete, we are experts in any and all aspects of concrete, and have skillfully poured and placed hundreds of thousands of yards of concrete since 1996. We have provided countless satisfied clients across Los Angeles County, the Inland Empire, and Orange County with our quick, dependable short load concrete delivery service, available 24 hours a day, 7 days a week. We have the largest fleet of volumetric mixing trucks in Southern California, meriting us one of the fastest response times in the industry. 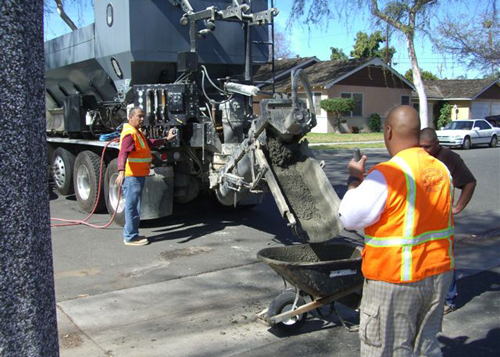 From efficient highway repairs for CalTrans to beautiful driveway renovations for Southern California homeowners, Short Load Concrete has the knowledge, expertise, and reliable reputation to meet and exceed your short load concrete delivery needs. We specialize in rapid strength concrete, and are recognized by CTS Cement as California's leading producer of this fast-setting, high strength mix design. While we excel at rapid strength concrete delivery, we are also very skilled at creating a diverse range of custom concrete mix designs. We supply a variety of premium quality aggregates--from P-gravel to ¾ inch--to form a fresh concrete mix that's perfect for your job. Our top-of-the-line volumetric mixing trucks allow us to go on-site and accurately adjust your mix design according to weather, grade, strength, look, and any last-minute modification requests. We even provide low-cost pumping service for when pour sites are inaccessible by wheelbarrows or mixing trucks. Trust Short Load Concrete to satisfy all your short load concrete delivery needs today. We are committed to saving our valued clients significant time and money. 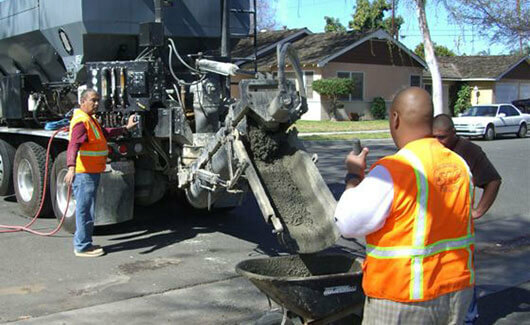 We are fully licensed and insured, and minutes away from any Southern California short load concrete job. Call us today for a free over-the-phone consultation. Sets in record time, quickening construction process for flawless, immediate fixes and urgent jobs. Full-range of custom mix designs made fresh on-site with top-quality volumetric mixer trucks. Great alternative to ready-mix; save money and reduce waste by paying only for what you use. As California's leading producer of rapid strength concrete, Short Load Concrete is Orange County, the Inland Empire, and Los Angeles County's most trusted source for rapid strength concrete delivery since 1996. Whether an immediate fix or planned job, Short Load Concrete combines fair prices and professional concrete specialists with superior concrete delivery service to expertly meet your rapid strength concrete needs. Great for residential and commercial repairs, renovations, & new construction projects. Always mixed fresh on-location; no hot loads. Available in rapid-strength or standard grade. Call one of our concrete specialists today for a free phone consultation and/or estimate.